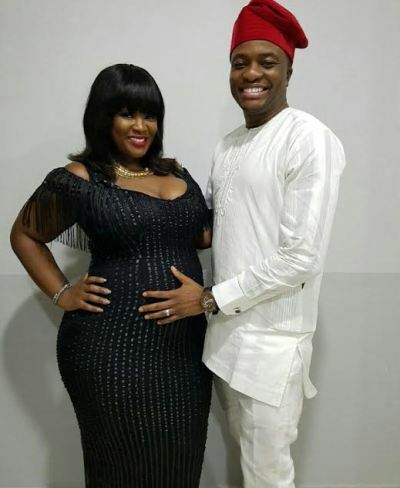 OAP, Tolu Oniru is expecting her first child with her husband, Captain Tunde Demuren. 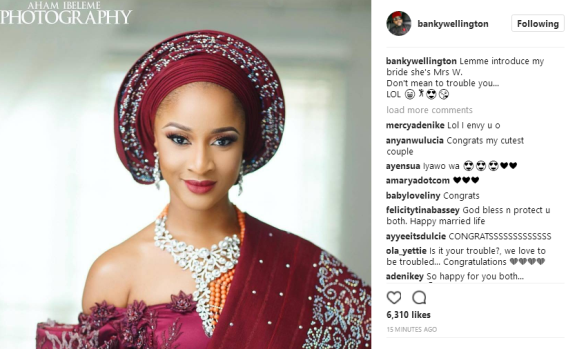 She showed off her baby bump in a picture with her husband at Banky and Adesua's introduction which held today. She captioned it; "TreeADem #ThreeOfUs Grateful to God always!" Congrats to them! Earlier today, there were unconfirmed reports that Bayo Omoboriowo, personal photographer to President Buhari and official photographer to the Statehouse, has been fired. Bayo who's currently in Lagos hasn't reacted yet but Tolu Ogunlesi, head of Digital Communication for the Nigerian President, denied this on twitter. 82 Chibok schoolgirls have been released! 82 Chibok school girls have been released by Boko Haram members. The girls who have been in captivity for over three years, were released today following negotiations between the Buhari-led administration and the sect members. Vice President Yemi Osinbajo in a recent media chat disclosed that the government was still intensifying its negotiations with the sect members for the release of the remaininh girls in captivity. 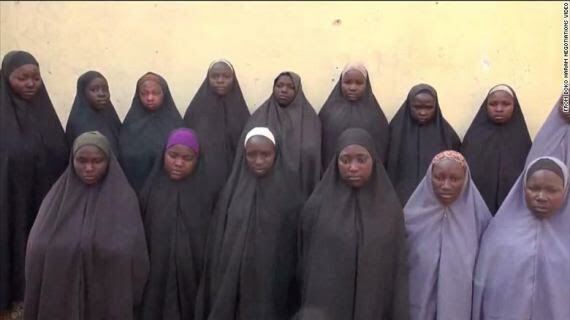 The recently released girls are now in Bnaki, Borno state. The girls were abducted on April 14th 2014 at their school in Chibok. 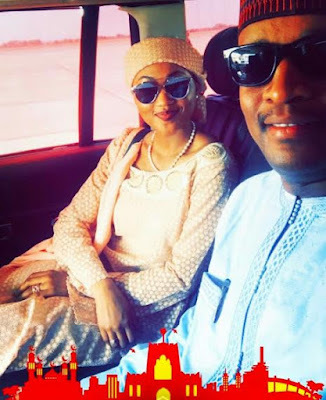 Ahmed Indimi and his wife, Zahra Buhari attended the graduation ceremony of Future Assured's recently concluded Women Empowerment Training in Kano State. 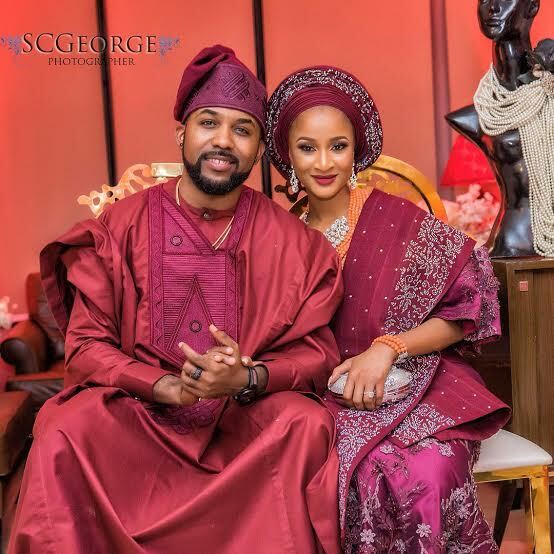 Wife of the President/Zahra's mother, Aisha Buhari was present there to hand over certificates to the women, and she was accompanied by wife of the Vice President, Dolapo Osinbajo. 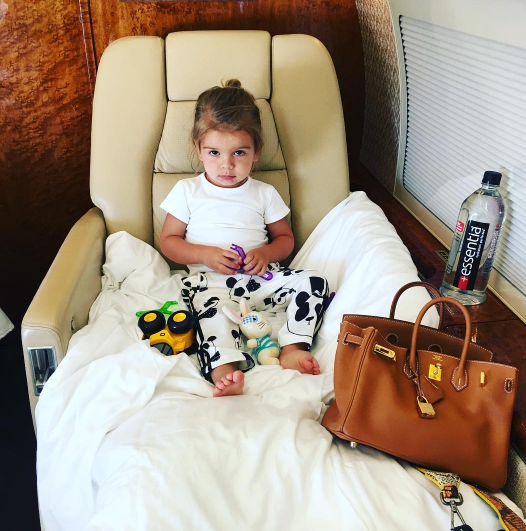 The life of a Kardashian-Disick child! Nice to see he takes out time to play with his young kids. 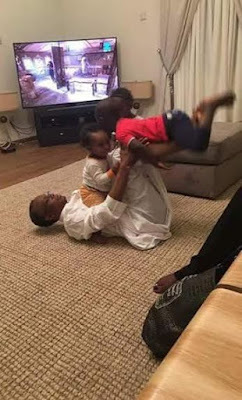 El-Rufai who is the governor of Kaduna state, is pictured playing with his younger children, Abubakar Sadiq, Nasreen and Rabi'ah at his home today. Wives of the President/VP, Aisha Buhari and Dolapo Osinbajo today visited Khadija Bashir, the 8-months-old baby who was raped when she was 6 months old, at the Aminu Kano Teaching Hospital in Kano. Khadija Bashir was reportedly raped by the husband of her mother's childless friend/neighbour. 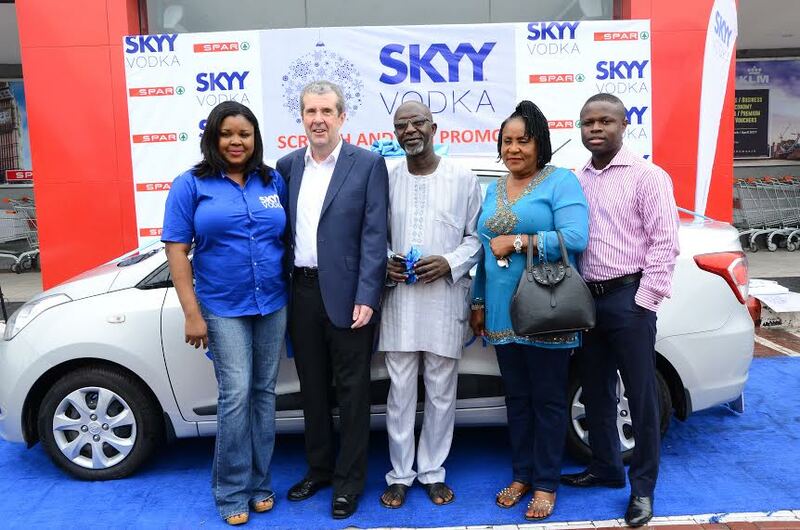 After five (5) weeks of Skyy Vodka Scratch and Win promotion in major Supermarkets in Nigeria, the management of Brian Munro Limited, exclusive marketers of premium wines and best spirits in Nigeria, awarded a consumer, Mr Babajide Adenekan with a Brand New Hyundai Xcent on Worker’s Day. 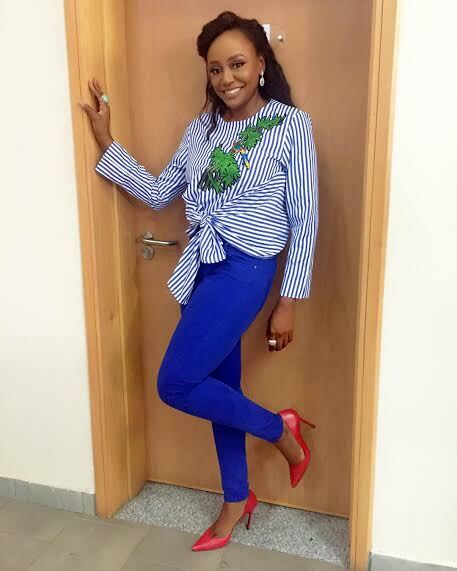 Actress, Michelle Dede took to Instagram to share solid advice on how important it is to encourage others and spread kindness in the journey of life, especially as Nigeria has enough critics already. You just might be saving someone from depression, as encouragement goes a long way in uplifting people facing tough situations. Read her post after the cut. The wedding introduction between the families of singer, BankyW and actress, Adesua Etomi, is holding this evening. 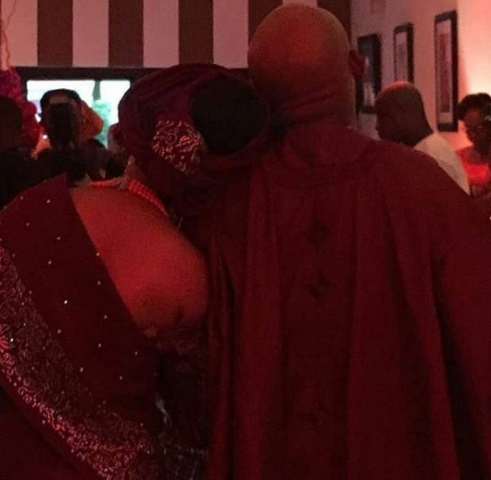 Congrats to them! 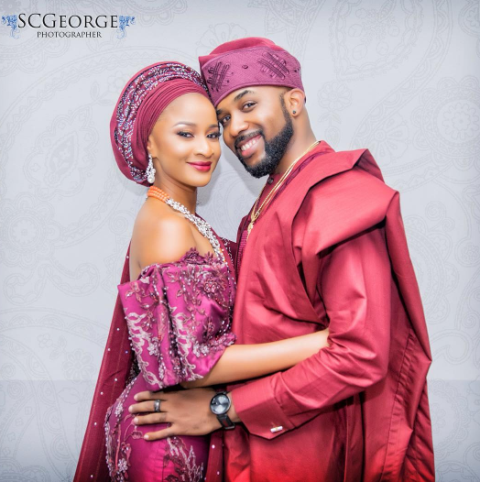 Singer, BankyW and actress, Adesua Etomi have officially kicked off their wedding ceremonies today, May 6th. 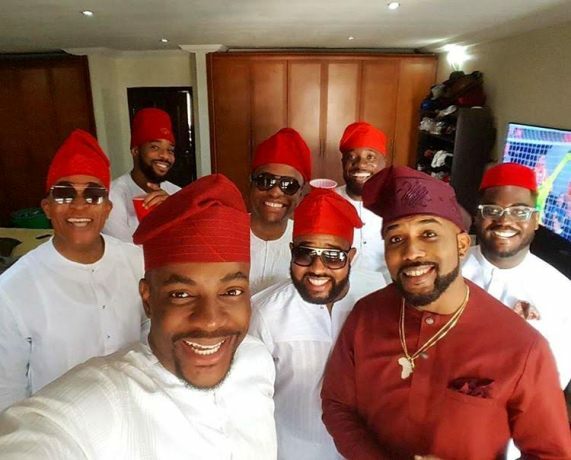 His brothers; Funmi and Temi Wellington, friends; Ebuka Obi-Uchendu, Segun and Tunde Demuren, Olamide Adedeji among others are pictured with him as they head out for the introductions between both families today. More photos to come! 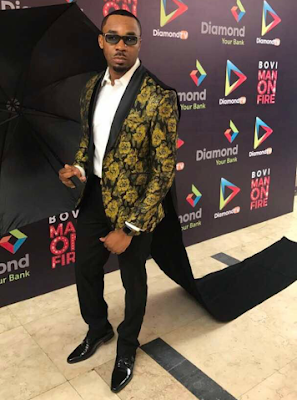 Controversial Lagos sociakote, Mike Nwogu aka 'Pretty Mike' stepped out for comedian, Bovi's show on Friday night like he was attending a fashion show. Married women, what do you have to say? 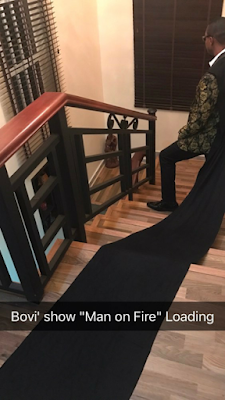 Former Miss World, Agbani Darego-Danjuma, is back to work after her top secret destination wedding. 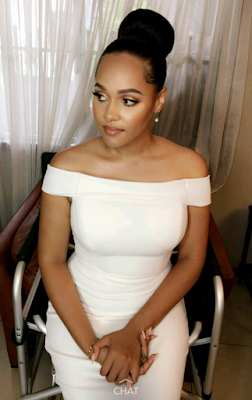 She's pictured posing up a storm on set in behind the scene photos. 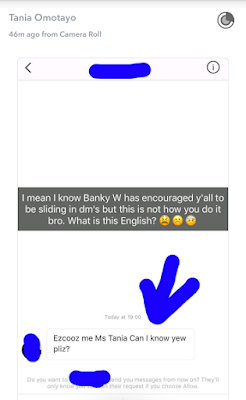 Tania Omotayo received the direct message above via her Instagram account. C'mon guys, you can't be sliding into DMs with such horrible abbreviations. 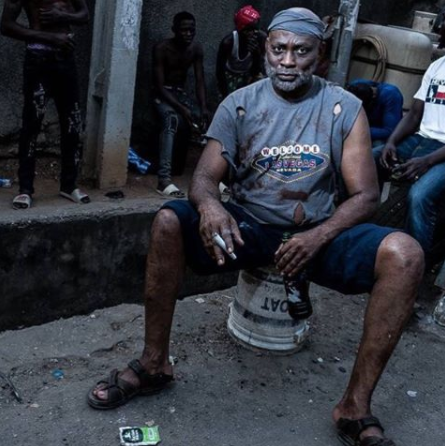 Actor, Richard Mofe-Damijo transformed and photographed by Kelechi Amadi-Obi. Yes, even footballers have a study room. 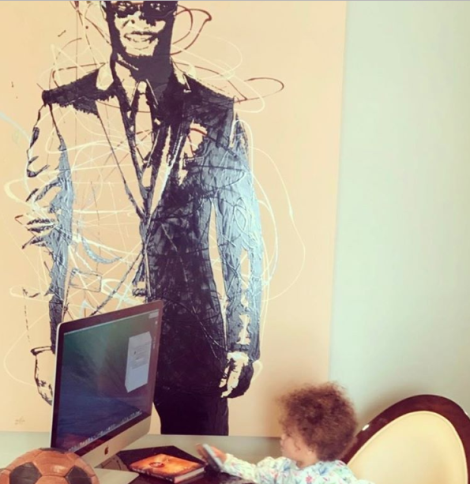 Mikel Obi's partner shared this beautiful photo of one of her twin daughters with Mikel Obi, sitting in front of a computer. When you look at the wall, you will notice a painting of the footballer, Mikel Obi. Nice concept! A brutal fight between road users was recorded on the dashboard camera of a car behind them and uploaded online. The dashcam footage shows the moment a man came out of his car to fight occupants of another car, but he did not expect what will happen to him next. 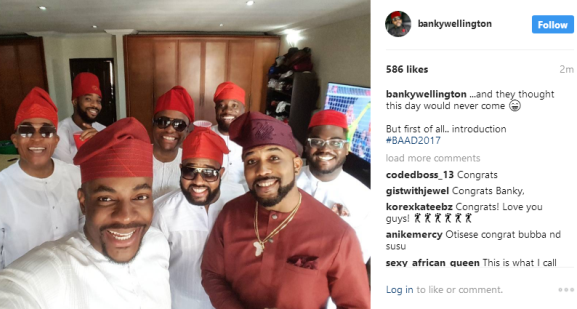 As Tunde Demuren, BankyW's best friend asked via twitter. 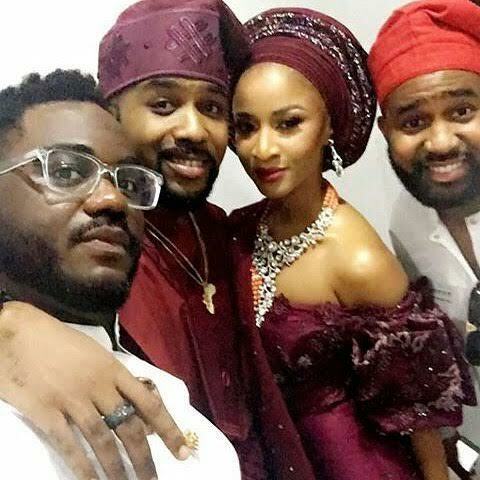 Also, all of Banky's siblings who are based abroad are currently in Nigeria and were at his home in Lekki, Lagos on Friday night. Looks like they might be kicking off with the Introduction between both families this weekend. 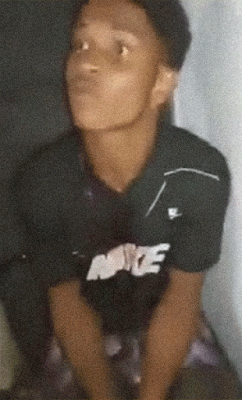 A disturbing new video has been shared on Brazilian social media, showing a suspected snitch being dealt with by drug dealers. 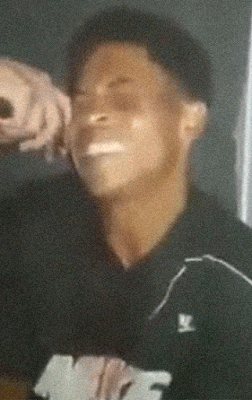 In the video, they cut his ear while he tried not to scream out in pain. He was later given his ear to eat. 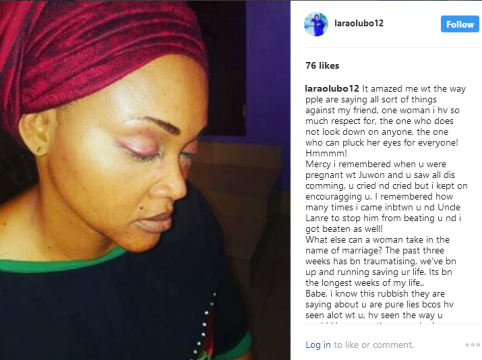 "Domestic abuse/emotional abuse are fast becoming a norm in our society. Decades ago it was okay for women to bear the burden and remain mute about the pains and effects of being victims. Not today. 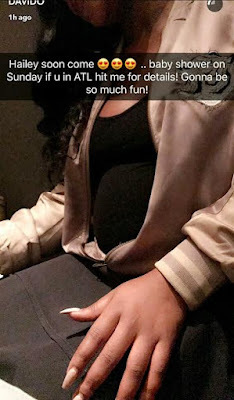 It is no longer news that Davido is expecting his second child, a baby girl, with an Atlanta based lady, Amanda. He's presently with her and has revealed that there will be a baby shower on Sunday, as her expecting date is quite close already. The child has also been named Hailey. 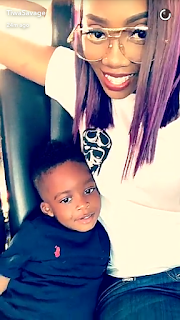 Tiwa Savage pictured with Jamil, nicknamed 'Jam Jam', in a new video shared on Snapchat. 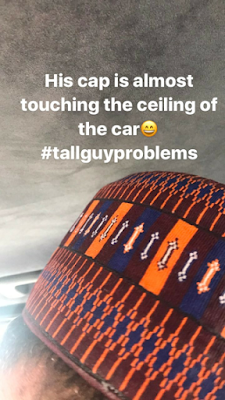 In his defence, he did caption the photo '#blackexcellence', which Kendall and Kylie don't fit into... Here's what happened. 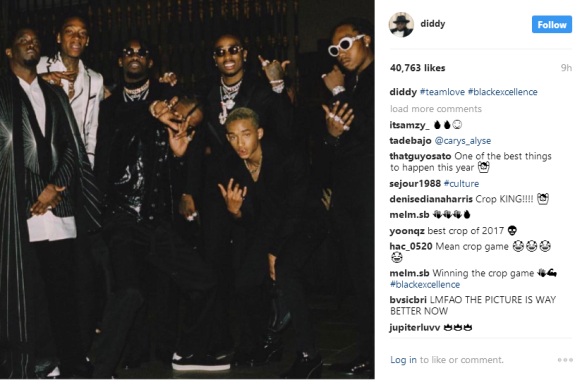 At the 2017 Met Gala in New York, Diddy, Jaden Smith, Future, Wiz Khalifa, Kendall and Kylie Jenner among others took a group photo behind the scenes. 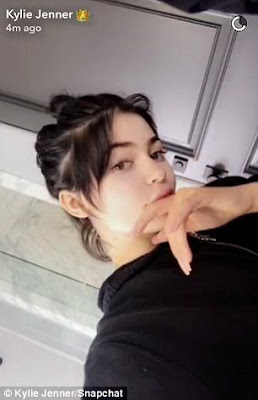 Kylie shared it on Instagram a day after the gala but when Diddy shared same photo today, he cut out the Jenner sisters, leaving only him and his black 'team'. To be fair, if it was Kylie who cut them, the internet would have dragged them for being racist. For those who missed it. Enjoy! 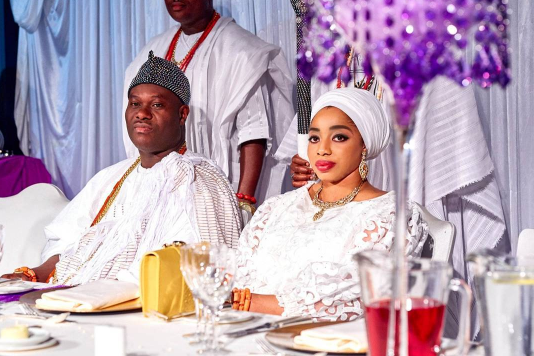 Linda Ikeji TV's Crime Story With Nonso visited the family of the 38 year old mother of three who was beheaded and cut into pieces in the Badagry area of Lagos by ritualists. The children, brother and others spoke to us. It's quite sad! 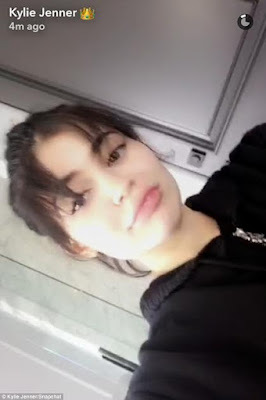 We are used to seeing Kylie Jenner with very long, waist-length, raven hair but it's mostly her wearing a wig. 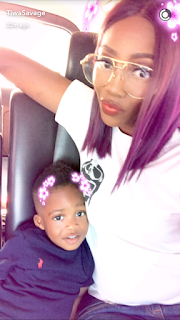 The 19-year-old reality star has decided to show us her natural hair. 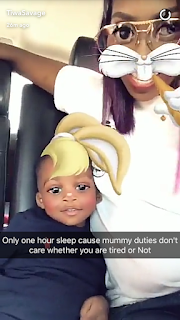 She flaunted her hair on Snapchat while saying "My hair is just crazy". It was wound up in a bun while a lot of baby hair spilled down her forehead and nape. More photos after the cut. Veteran Yoruba actor, Adeshina Adesanya popularly known as Pastor Ajidara is critically ill. 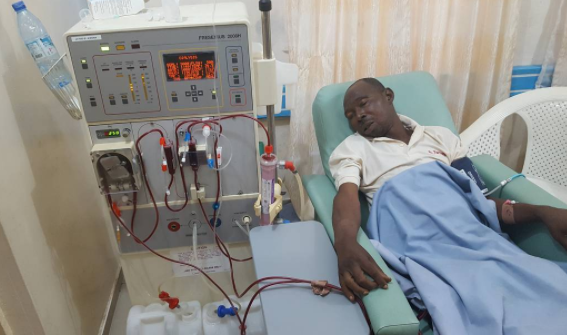 He has been diagnosed with kidney failure and has since been hospitalized at unknown hospital in Ogun State where he's currently receiving treatment and would require millions of naira to survive. Kris Jenner was at the Race to Erase MS Gala on Friday and guess who she was with? Corey Gamble! And from their very friendly poses, it's obvious they are still together, not minding the break up rumors. 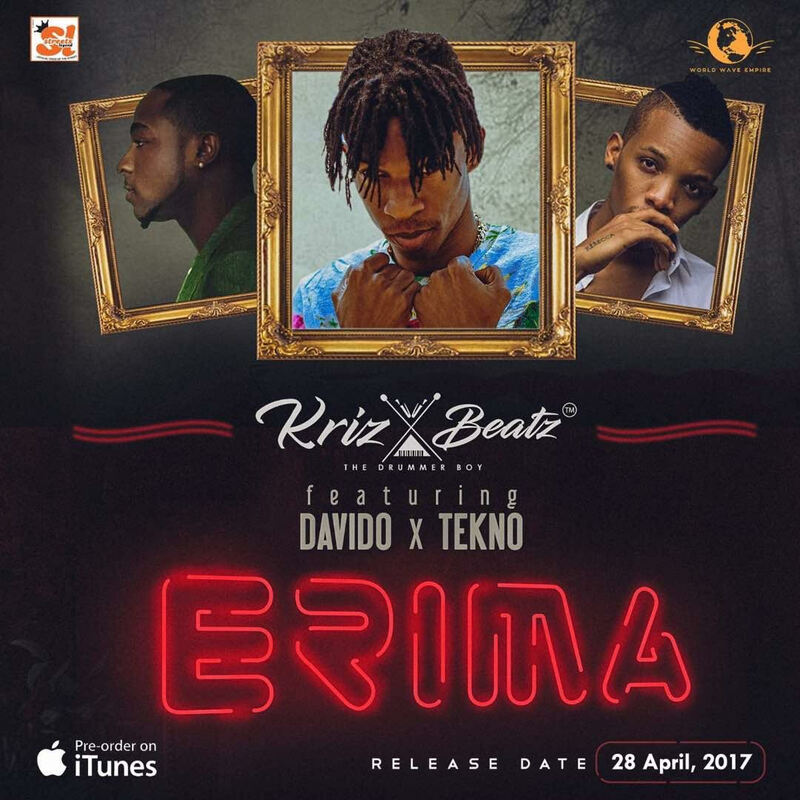 Krizbeatz is a professional music producer, Disc Jockey, song writer, sound engineer and sound architect. Born Chris Alvin Sunday on 25th December 1994 to Ebonyi State and Ekiti parents. Chris grew up in Ibadan, studied Linguistics in University of Ibadan and Music Technology in SAE, South Africa. 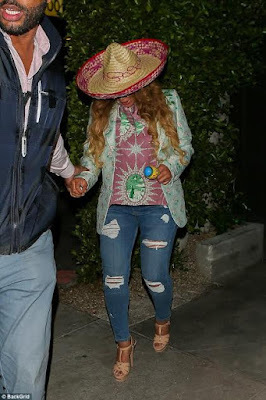 Beyonce stepped out for the celebration of Cinco de Mayo looking all colorful and in a celebratory mood. 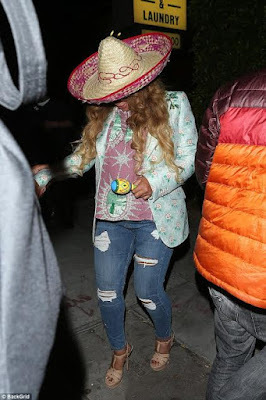 The expectant mother was seen leaving a restaurant in West Hollywood, California on Friday with her best friend Kelly Rowland. 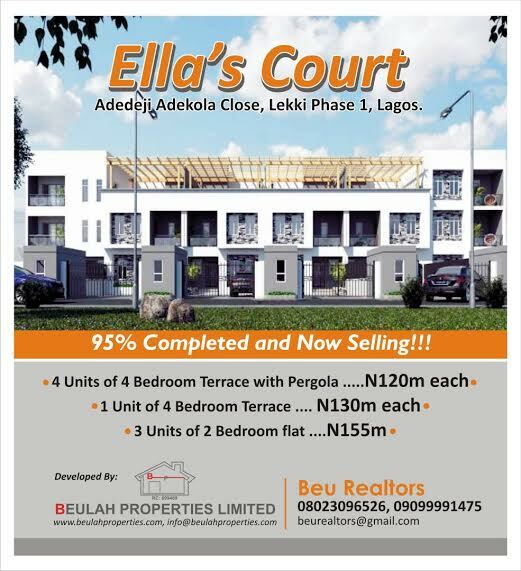 Ellas Court 95% completed and now selling! Ella’s Court is an elegant, contemporary residential housing development consisting of 5 units of four bedroom terraced houses and 3 units of two bedroom apartments. Its sits on an area size of 1,600 square meters, each terrace being approximately 230 square meters. Located in a serene environment within the salubrious Lekki phase 1 housing scheme, Ella’s court provides the perfect getaway within the hustle and bustle of a mega – metropolis such as Lagos.